There is only one reality. That is Code. Everything else (design, documentation etc.) is an illusion. Why Small Parties Cannot Conduct Primary Elections? Primary elections are the elections conducted by political parties to select the candidate for the main election. In US, the main political parties select the presidential candidate by primary elections only. 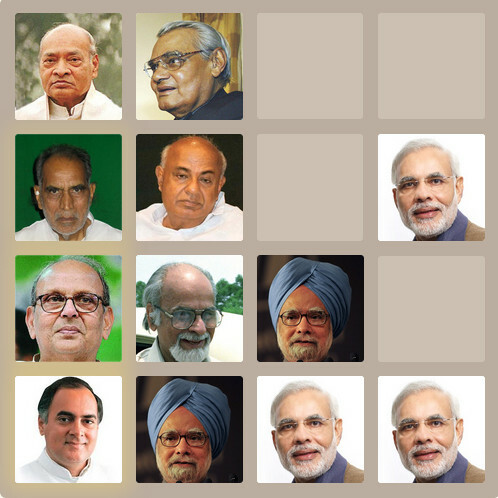 In India, there is only one party which conducts primary elections to select the candidates. When I came to know about it, I liked the idea, and thought that, all parties should do in big scale. Recently, I came to know that, there are many drawbacks to this for small parties. To win in an election, generally the candidates do not require more than 15-20% of total votes. Average polling percentage is 60%, and if anyone gets 30% out of the polling votes, most probably they will win. With many parties participating in elections, if there is tough competition, people can easily win with 20% of the polled votes. It means, if 12% of voters vote for that person, they can win. Even otherwise also, if 20% of the voters vote for them, they are going to win. If there is a party which can influence other parties fate, then other parties also would become active in the primary elections of this party. Let's take there is a party A which wants to conduct primary elections. Party B would lose, if a good candidate from party A contests. So, party B wants the weakest candidate of party A to contest in the main elections. If there are primary elections, then party B would help the weakest candidate in all the possible ways to win in the primary elections. In India, in the main elections itself, most of the people take money and vote. For primary elections, it would be very easy. They can go to slum areas, and if they give Rs.10, they will vote for whichever candidate they want. By this way, parties which have more money can influence the candidates selected by another small parties. If other parties can influence the selection of the candidates, there is nothing more suicidal than that. However, if all the candidates in the primary election are equally strong in most of the dimensions, then there may not be any disadvantage. But, if atleast one weak candidate contests in the primary elections, then other parties will try to influence the winner and the party which conducts primary elections is at loss. Many people got different understandings on my post on Mail to My Manager Regarding Performance Review. Few people posted on the blog itself, and others talked to me separately on that. In many companies, there are many problems with the Performance Review process. I wanted to post an article on that. I mentioned the same problems to my manager, and I posted the same in my post. I did not think that, mentioning about me getting bottom 10%, and posting the verbatim makes the reader to think in different direction. The main thing is, there are no problems between me and my manager. I am very happy with my manager, and my manager also says, he is happy with me. If I give more details on the background, then the reader would get better understanding. But, I have already given more information than I should have. So, giving any more information is simply out of question. Whether I continue in any company or not depends on 3 factors from my side. 1. Reasonable Compensation when compared to other companies that can offer to me. 2. Growth in the domain that I am interested. 3. No Negative Impact on Personal Life/Goals. As long as, I am getting all the three, I don't try to find a new job. I left my first company, because I got offer with really significant increase in the compensation. I left my second company, because, they tried to push me towards management, and I was interested in technical work. Unless, I find a reason to move, I don't leave. Even if they give hints to leave the company, I don't leave. I wait till they officially ask me to leave. Because, changing the job is a significant effort for me. Many people change their jobs for 15% salary hike. But, for me, there are many problems with every job switch. If I change job, then I have to adopt to that new company, culture and many other things. I have to rampup on their projects with a completely different process. It takes significant time before I start learning anything (that is of interest to me) in the new company. If I move to a different city, then there would be many other problems. I cannot compensate all those for 15% salary hike. That's why, I continue as long as my expectations are met and they do not officially ask me to leave. The company is paying me to put my best efforts for the growth of the company. Irrespective of what all I get in the review, my responsibility is to put my best efforts for the growth of the company. If anybody does not like the compensation or respect, they can always leave the company. My expectations are satisfied in the present company, so I don't have any plans to leave the company. Caller tunes for phones have been for quite some time. What I am wondering is, why cell phone companies are not using that for giving ads? If we set any caller tune, we have to pay approximately Rs.30 per month. If cell phone companies put ads as the caller tune, and in return if they give some talk time to the person, then more people would put the ads as their caller tune. By that the advertisers get publicity, and the cell phone users get talk time in return, and it would benefit both. When Kumble retired, he told how he used to play with Srinath. One of them bowls in such a way that, the batsman is forced to play defence. By that, the batsman is forced to play attack for the other bowler. Other bowler bowls in such a way that, they would get excited to attack, and in the process, they lose the wicket. If we see their bowling scores, one score does not look good, but another score looks good. Still, the selectors are intelligent enough to understand that. So, they did not remove anyone from the team. Late 2007, Ganguly was struggling to retain his position in ODI cricket. In one match, when India needed to make quick runs in less no.of overs, Dhoni instructed everyone to play quickly. Even 15-20 runs in few balls per wicket was more than enough. But, Ganguly ignored that instruction, and happily made a half century by taking enough balls. Irrespective of what happened to that match, Ganguly did not play with the team spirit. He did not play to win the match, but played to score more runs for himself. He thought, by scoring more runs, selectors would be happy and select him for the next series also. But, what selectors see is, whether they are playing to win the match or to score runs for himself. And, he was not selected for ODI matches, and slowly he was forced to retire even from tests. The same thing is applicable for any domain. For cricket team, we have experienced selection team, and they are taking correct decisions. But, in many other domains, management is not recognizing the team spirit, but recognizing individual performance. Because of that all the team members who want recognition are doing things which gives better points in their profile, and are ignoring everything. If anybody is doing performance review and the process is comparing with others, then they have to be very careful. In the review, if there is comparison with others, then most of the employees would be tempted to show their individual performance. Managers should encourage everyone to work for the project rather than for self. If a manager is directly managing more than 8 team members, then it would not be an easy task to identify whether somebody is working for the team or for self. In my definition, growing in software industry means, solving the customer's problem in less time and cost for the customer in long term as well as short term. Computerization came with the message that, it saves lot of time and money for the customer. So, the measurement for growth also should be saving time and money for the customer. Some time back, If I can write some code in 10 days, and now if I can write the same or similar in 5 days, that is also growth. But, that is just one minor aspect of the growth that I am expecting. The actual growth that I expect is not a reduction of 10% or 20% or even 50%. If there was a problem that takes 30 days some time back, now, it should be solved in one day. That kind of savings I expect. To get that kind of savings, most of the time, we have to depend on simple design, using right features of right technologies in right way. In the last one and half years, I have spent some time in solving problems of few people/organizations with my software skills. Those problems can be categorized into two types. For the first type, I have given a very obvious solution which solves their problem. They may say that, it was obvious and anybody can do that. But, they only have to tell, why they waited for me to implement, and they did not implement themselves. For the second category of the problems, I solved more than 90% by using vim. Vim is not a programming language, but it solved most of my problems. Those who saw my work, gives reasoning that, since I knew VIM, so I could do it, and it is not a big deal. My question is simple, can anybody do the same in less time or not? If there is somebody, then I would be interested in learning from them on how to do it in less time. I don't care anything else. How can I reduce the cost and time of the customer in long term as well as short term? This is what I want to learn, and in this direction, I want to grow. But, growing in this direction requires very simple thinking, and when the task is accomplished, it looks very obvious and anybody can do it. In most of the companies, the promotion requires proving the technical excellence by doing complex work. But, the goal of everyone should be reducing the time and cost for the customer, which means most of the time, they have to do by simple design and use the features of existing technologies most of the time. Both are little bit contradictory. As long as somebody is getting the feedback that, "You have not done any complex work to get promotion", they are in right track for their growth. If they get promotion, then they should think, why they got promotion. What is the other way to implement the same functionality, so that it takes less effort. Most probably, if they do that with simple design and less effort, it would lead to not getting promotion. Suppose you're on a game show and you're given the choice of three doors. Behind one door is a car; behind the others, goats. The car and the goats were placed randomly behind the doors before the show. The rules of the game show are as follows: After you have chosen a door, the door remains closed for the time being. The game show host, Monty Hall, who knows what is behind the doors, now has to open one of the two remaining doors, and the door he opens must have a goat behind it. If both remaining doors have goats behind them, he chooses one randomly. After Monty Hall opens a door with a goat, he will ask you to decide whether you want to stay with your first choice or to switch to the last remaining door. Imagine that you chose Door 1 and the host opens Door 3, which has a goat. He then asks you "Do you want to switch to Door Number 2?" Is it to your advantage to change your choice? The answer is, it is always better to switch doors. The above table gives all the possible combinations. From the table, it is clear that, if we switch the door, we get car in 6 out of 9 combinations. If we don't switch, we get car only in 3 out of 9 combinations. Detailed description can be found at Wikipedia. The explanation on BetterExplained is much better. It explains the logic behind that in words. Do you stick with your original door (1/100), or the other door, which was filtered from 99? (Try this in the simulator game; use 10 doors instead of 100). It’s a bit clearer: Monty is taking a set of 99 choices and improving them by removing 98 goats. When he’s done, he has the top door out of 99 for you to pick. Your decision: Do you want a random door out of 100 (initial guess) or the best door out of 99? Said another way, do you want 1 random chance or the best of 99 random chances? We’re starting to see why Monty’s actions help us. He’s letting us choose between a generic, random choice and a curated, filtered choice. Filtered is better. Assuming that “two choices means 50-50 chances” is our biggest hurdle. Yes, two choices are equally likely when you know nothing about either choice. If I picked two random Japanese pitchers and asked “Who is ranked higher?” you’d have no guess. You pick the name that sounds cooler, and 50-50 is the best you can do. You know nothing about the situation. Now, let’s say Pitcher A is a rookie, never been tested, and Pitcher B won the “Most Valuable Player” award the last 10 years in a row. Would this change your guess? Sure thing: you’ll pick Pitcher B (with near-certainty). Your uninformed friend would still call it a 50-50 situation. Suppose your friend walks into the game after you’ve picked a door and Monty has revealed a goat. But he doesn’t know the reasoning that Monty used. He sees two doors and is told to pick one: he has a 50-50 chance! He doesn’t know why one door or the other should be better (but you do). The main confusion is that we think we’re like our buddy. We forget (or don’t realize) the impact of Monty’s filtering. In the performance review, I was given bottom 10%. After that I sent a mail to my manager explaining my thoughts on the performance review. These are the few snippets of that mail. There will not be any change in my work or the way I work irrespective of what I get in the review. That just does not matter to me. My goal is to provide value to the shareholder of the company. I don't do some thing, just because you said, or your manager said, or to get promotion. Since, I am a very small part in the over all company, and my scope is limited to the development of my project, I do things which make development successful, which in turn provide value to the company and to the shareholder of the company. I will not do anything which makes the project unsuccessful even if it means I don't get promotion. In the last one year, I got the following kind of comments to get promotion or for getting more than Achieved. 1. You should come up with new ideas like how Mr.XYZ is coming up. 2. You should become master of a technology. I am in development role. I am not good at coming up with new ideas. That's why I did not chose Program Management role in the first place. Now, for getting promotion, they are expecting new ideas which is essentially PM's job. I already have good experience in few technologies. What the company is getting by those? If I become master of yet another technology, what the company is going to get? Give the project that I have to work on. To do it efficiently, if I have to learn a new technology, I will learn it and do it. The manager can always say that, after few months, we get a project that requires knowledge in this technology, and I will start learning it. Why are they expecting to learn each and everything now? What do I have to do after becoming master of a new technology? Why is it a criteria at the time of promotion? The criteria to get a promotion should be providing more value to the company. There can be thousands of different ways to provide more value to the company. Till now, everyone is stuck at these two points. Is it possible to get promotion just by working on the project? If it is no, then there are serious problems with the process itself. It implies that, there is no use of working for the project? Do things that are useless to the project, and you will get promotion. One manager in our group said, I should reject the work that is not complex. Because, if I do non-complex work, then I don't get promotion. So, should I reject all the non-complex work? If everyone rejects non-complex work, who will do that work? Then most of the time, that type of work goes to some one who is very recent to the company or who is reserved. That does not create a good environment. Even if they do non-complex work, but, if they do it efficiently than others, then they should recognize it. I am ready to work on anything that you assign to me. I will not do anything else. Can I get promotion? If it is no, then company is destructing itself. If it is yes, can you give work in such a way that, I will get promoted in 6 months? If I have not done anything within the agreed time and quality, tell immediately. If I fail in more than 10% (or you can come up with some number) of the tasks, you can reject to give promotion. Is it possible? In general, In performance review, I expect the following. * What I did not do well? * What I should have done to get exceeds expectations? * How can I provide more value to the company by continuing in that project? But, I never got these answers. I get answers which do not have any impact to the project in the near term. They give suggestions that I should learn x, y, z technologies. After 6.5 years in the industry, I know my personal goals. What I am expecting from them is, the details on how can I provide more value to the company. While providing more value to the company, I will find out how to align with my personal goals. I don't need somebody to bother about my personal goals. First bother about company's goals. After that, if that person has time, then they can bother about my personal goals. But, nobody is bothering to tell me how can I provide more value to the company, but they are very worried about my personal goals. One thing that I don't like, and is there in many companies is, Comparing with others and giving rating. (In the performance review in our company, all the employees in a level would be put into three buckets, top 20%, middle 70% and bottom 10%) Due to this 20-70-10 rule, it is clear that, 10% of the people will have to go to bottom. Even if everybody is doing their best, still by this, 10% of the people would be in that bucket. Doing my best is not enough to be move up. Stopping others would give benefit. Of course, while doing that, we have to be very careful. If a person comes to my desk for help, then I should reject that by giving one very valid reason. Then, I have to make sure that, everybody else in the team knows that, he is not capable of doing that, and requires help. Then, I should offer help and do it. By that way, I would be safe. If I don't do that, then everybody gets the impression that, that person can be capable of doing everything, and nobody will get any opinion on me. This creates really bad environment. Many managers say that they look at everything, but in most of the cases, they don't come to know it unless one of them tells. If I escalate all the small things, I can easily prove that I am far better than others. But, I hate to do that. I mentioned all these to improve the process in the project and to provide more value to the company, and definitely not because I was put in bottom 10%. Irrespective of whether there is any improvement by this or not, my attitude and my way of work will not change. If I get more help to work efficiently, I will do more. Otherwise, I do whatever I can do alone. But, my effort towards the project will not change. If I am a pilot, and if I know that travelling by my flight/helicopter is going to create problems, then I simply don't allow anybody to travel irrespective of who is asking me. In between the travel, if I come to know that going in one direction creates problems, then I will not go in that direction. Even if others force me to travel in very unsafe conditions, I don't listen to them, and do what is the best for everyone. I have the same attitude for the project that I am working on. In summary, I am going to work to provide value to the shareholders of the company. If anybody is going to help me in that, I will take their help. If anybody is going to stop me in that, still I will do whatever I can do with the power that I have. Even if I don't get promotion, or get the bottom 10%, I am not going to change my way of thinking. Had I done all the things that others said, I would not have been in bottom 10%. But, that would have resulted in bigger failure of the product, which meant more loss to the company which is a loss to the shareholders. That is against my principles. So, even if we go back in time, I would not have done what others were expecting me to do. Even if you say, I may have to leave the company with that attitude, still I will not change it. He: I am going to buy Visual Studio. Which version is better? Me: 2008 is latest. 2005 is also fine. But, why do you want to spend Rs.1,00,000 for Visual Studio. He: No. I am going to buy Rs.150 Visual Studio. I use only free and open source software. I don't use any software of M$, because, I don't want to buy their software and at the same time I don't want to pirate their software. There are many people who advocate me to use M$ software. But, none of them use original softwares. There are handful of people (whom I know) who bought original Windows software. But, they have bought only OS, and they don't use any other software other than IE in that machine. Since, they are using original versions, they get unlimited right to preach me to use M$ software. I would like to tell only one thing to those people. I need the following. Doing simple operations with images daily, and complex operations (which are not supported by paint) once in a while. Developing One new software useful for atleast one person in this world for every 6 months. Answering certain set of questions in less than one minute from the above data, and even a normal data entry operator should be able to use within less than one hour training. Helping friends in their projects. Playing simple games like lines, chess, gnibbles. All the above should be done when in offline as well. Bing may give good results for US users. But, it does not give good results for India specific queries. Google is far better than bing for my usage. Are you ready to do the above with your preferred softwares? I am doing those with ZERO software cost. I am not consuming more time when compared to the many developers of my experience. If anyone can do it efficiently than me, then I would be definitely interested in doing their way. I hope those who preach about M$ software know the way to calculate the efficiency. Let's suppose, their approach takes X days with expenditure E, and I take Y days and my daily salary is S. The expenditure includes costs of all the software and the additional required things like anti-virus, anti-spyware and documentation etc. Then, with their approach, I save, (Y-X)*S - E.
With the work that I have done in the last one year, even if I make X as zero, still, I would be at loss, if I use all M$ software instead of open source software. Anybody who is going to advocate me about using M$ software, please show me the profit in using it. Then I will automatically start using it. I am also looking for reducing my cost (due to recession ;) ). A developer is working on a new project. He knew that, company's expenditure on that project is little more than $1.5 million. After some time, he came to know that, his company gets $1 million as revenue from that project. Now, the developer is criticizing the director for accepting the project which gives loss to the company. He thought, whether he should develop the project sooner by sacrificing the quality. Irrespective of how open the company is, sometimes, developers are not aware of the business intricacies unless they show interest in knowing that information and regularly interacting with the directors. In this specific case, the director wants to get $100 million project from that client, and to show the company's capability, he took this $1 million project. If company delivers this project efficiently, most probably it can get $100 million project. If the development team sacrifice the quality, and if the customer does not like it, they can lose $100 million project. Developers should not worry about the profits and losses, and should always strive to do the project efficiently in the given time frame. If they have capability to give suggestions to the directors, then they should learn what all is going on, and see whether their ideas can work or not and then help them. Without that, it would create only problems. A program manager is the one, who is supposed to give requirements for the system. Sometimes, Clients give the specification for the environment of the system. If clients do not specify any environment, then it would be decided by the development team. Based on the environment, Development team decides technology, tools and design. Program managers can always give their suggestions on environment, technology and design. If they want to command, then they should come and help development team in the entire development phase. If they don't give suggestions, but command the development team to use some technology because the marketing documentation of that technology says, it can do all those, then the project will face fatal failure. If they give suggestions, it should be very clear and concise. Not just, "documentation of this technology says that". There is one process which stores files, and there are multiple processes which reads the latest files. The problem is how do we design the system in such a way that, there is no synchronization problem. My solution was very simple. Use Database. I did not stop there, but explained the following as well. Set the transaction isolation level to read committed, and always insert a new row in the database for new files with the time stamp. The processes which reads the data will read the row which is having the latest date. Since, it always gets the committed data, we don't need to maintain any synchronization in our code. For anyone who has some understanding of the database can understand the above. If they are not aware of the databases, then I can tell in little more detail in this case. I have got many suggestions from many non-developers that use xyz, use abc. But, they never elaborated it how to implement it. Many times I feel like saying, "If you can explain in more detail, please explain. Otherwise, please shut up. I will design it on my own.". Some times few developers reject to implement few features and fix few bugs citing reasons that after code freeze, we are not supposed to fix bugs. I could never understand their problem. I tell them how much time I am going to take to implement it. If they are fine with that time, I will do it. If they feel the returns is less when compared to the effort, they will not ask me to do it. I take the tasks depending on the priority of the Program Managers. Probably customer is frustrated because of one alert in the first screen rather than the crash of the application in one very corner case scenario. Program Manager knows what are the priorities for the customer, and I implement in the same order. Why should I interfere and say that, crash is more severe than alert. So, I fix only the crash, and not the alert. That does not make sense. Don't interfere in others work as long as they are delivering what they promised to deliver. If they fail in their promise, don't command on what should they do. Step in their shoes, understand the entire situation, find the reasons for the failure, discuss the solution. If they just say it does not work, and if you are not convinced, do it yourself and understand the problems. Demand freedom in your work, and don't interfere in other's work without having enough knowledge. If a manager recruits his team, and if he declares that majority of his team is not performing well, then how worst is that person in managing as well as recruiting? We can host blogs with blogger with our custom domains in two ways. In the first method, we need to enable ftp server on our domain, and give our credentials of ftp server to blogger. Whenever we post anything, blogger publishes the files in our ftp server. By this way, the blog would be delivered from the hosting server of the domain. All the restrictions on bandwidth, disk space etc. would apply according to the hosting server. In the second method, we need to set CNAME record for our domain to ghs.google.com. Once, it is set, google hosts the blog at their servers. For my site, I set CNAME for blog to ghs.google.com. In this, the bandwidth and disk space restriction would be of google. I don't think there is any bandwidth restriction for google. For images, it uses picasa, and picasa has a limit of 1 GB. For text, I don't think there is any limit. If you want to setup blog for your top level domain, and want to use other facilities like email, then it becomes little tricky. If your provider allows to set CNAME just for top level domain, then there will not be any problem. But, most of the providers including godaddy do not allow to set CNAME record for the top level domain. If we set A Record, then we lose control on all the mails. For that, I have done the following (for www.loksattavideos.com). This works for Apache server. I used my own hosting for the top level domain (loksattavideos.com). For mails, I had my custom MX records. I setup CNAME record for www to ghs.google.com. It means, google hosts my blog on www.loksattavideos.com. In the home directory of my hosting server for loksattavideos.com, I created one .htaccess file with the following content. I don't have any other file other than this in my hosting server for www.loksattavideos.com. It's purpose is to forward all the requests that it gets to www.loksattavideos.com with full path. By this, if there is any request like loksattavideos.com/a/b/c, then it redirects to www.loksattavideos.com/a/b/c. There is a small village and it does not have proper public transport. A private person/organization provided bus transport to that area after paying the road tax. In a big city, all the buses are very crowded. There are many people waiting for the bus, and no bus is available for boarding. At this time, a private bus driver with empty bus is going in the same route and took the passengers by that bus. Both the above are Illegal. Only A.P.S.R.T.C. can provide public transport in 99% of the roads in A.P. It is illegal for anybody to provide the public transport on those roads. In the remaining 1% of the routes, one can provide only after paying hefty amount for permits. There is one remote area, which do not have school facility for 6th class and above. One educated person in that area started a small school in his rented house for 6th class. It is illegal. To start any school for 6th class and above, they must register. Registering a school requires the school to have a play ground, stairs with 10 feet wide and should have facilities like fire extinguishers etc. If the school is not started in the own building, it should have atleast 5 years lease agreement. If a school is not registered, then the students cannot write exams from that school. The schools which are not registered, go through another registered school for exams. That is also illegal. In most of the Engineering colleges, the lecturers do not have enough knowledge. If students have less attendance, because they did not attend the classes (Since they went to another private institute to learn the same), then they cannot write the exams. So, Few students give bribe to increase the attendance percentage. It is illegal. The best colleges which can teach very well cannot take students as per their demand. They cannot take more no.of students than the limit set by AICTE and state government. If it wants to take more, it has to start another college, and that college should have all the facilities (enough land, no.of professors, etc.) as prescribed by AICTE and state government. The students need to have 75% of attendance to write exams. If they have 65% of attendance, and if the student lost 10% attendance because of health problems, then also they can write exams. Otherwise, they cannot write exams. One big hero's movie is released. There are very big fans who want to see the first show on the first day. For the tickets, they paid more than the actual price. It is illegal. Government sets the price for the tickets depending on the cinema theatre, and there are around 3 categories of cinema theatres. More than 90% of the cinema theatres are in one category. Depending on the category, they have to set the maximum price of the ticket. It is illegal to sell the tickets for more than the maximum price. Producers produce the movie, and the budget varies from movie to movie. Cinema theatres have varied expenses depending on their management, locality, and the movies they show. Audience have varied interest for different movies. Still, all those cinema theatres have to set one fixed price that is set by government. It is illegal to sell for more price, even if they are ready to pay more tax. In many places, government supplies power to farmers with voltage fluctuations and at odd times. Can anybody setup a small sub station and supply power without fluctuations at convenient time to others? No. Nobody can setup a sub station for power supply unless concerned Minister or C.M. approves it. Even if the power supplied by government has fluctuations and it is supplied at odd times, still the people have to take that only. They don't have a choice. If we list all the cases like this, we can easily write a book. So, I stop here. Eventhough, all the participants in that event are fine with it, and nobody else is suffering by that, still according to the government, it is illegal. Government can take action against all the participants in that. The movie Guru says almost the same thing. But, I am very doubtful, whether even 1% of the audience understood what he wanted to say or not. Highlight of the movie was the following. May I stand or do I need a license for that too? You say, I am against the law. Forty years ago, another man was against the law. Today, we call him Gandhi. In his time, slavery was the law. He wrote a new law... our freedom. I am not bapu. All I know is business, and to work hard. I wanted to do business. But, the doors to business opened only for the rich. Doors made by the government can be opened either to a bribe or a kick. I did both. Where I had to kick, I kicked. Where you wanted me to salute, I saluted. And, today you ask why this man kicks so much, he salutes too much. What are you angry about? My growth or the speed of my growth? Or that I have surpassed your expectations of an ordinary villager? I know the value of money. If there was money to be made, I made it. Not just for myself, but for my 30 lakh shareholders as well. I don't know how to play golf and I don't go to horse races. But, I am a solid player in my business. I know how to make the best quality polyester, fibre, chemicals at the cheapest price. Is that my mistake? Should I apologize? I roamed around carrying cans as a petrol pump assistant, just like our country goes to the world bank begging, 'Give us money - we want to make roads'. Why cannot we change our destiny? Ours and our country's? You want me to deliver petrol cans and our country to beg forever? Why cannot we reach the top? Why are we called the third world? We have as much right to be a first world country, and we can be. All of you want to stop me. Don't you? I am not alone. The whole country is moving ahead with me, and neither you nor your laws have the strength to stop the country. The doors you want to keep closed are opening up. We have our feet through the doors and our feet are very strong. Which enquiry can check the progress of this country and stop it? All these can be changed only by government. We need to vote for good political party which is going to change these. Our Constitution says, at any point of the time, the state should be under the rule of either the Chief Minister or the President. The country should always have a Prime Minister at any point of the time. Constitution provides only Acting President and does not mention anything for interim for any other post. There is nothing like Acting Chief Minister or Acting Prime Minister. When people call Guljarilal Nanda as care taker (or acting) Prime Minsiter, and Rosaiah as care taker Chief Minister, the care taker is only for the Political Party and not for the Constitution/state/country. As of today, Rosaiah is the Chief Minister of Andhra Pradesh. He is not an interim Chief Minister or care taker Chief Minister. He has all the powers of a C.M. This is the second time in this year to have a state/country without a leader (in a working state) for some time. First one was, when Manmohan Singh got operated and took rest. At that time, he took rest and was not actually working as the Prime Minister. If that is the case, Constitution clearly says that, some body should take oath as Prime Minister and handle the country. Once the person is fit enough to take the charge, he can again take oath to become Prime Minister. I am not sure whether the constitution is clear on what happened on September 2nd. (Dr.YSR, CM of A.P., missed on September 2nd at 9.45 AM, and on September 3rd, at 11 AM, Center declared that he was dead) If CM misses, and till he/she is found, who would be the in-charge of the state? If there is anything serious and if the government has to take an action, who should take the responsibility and take it? Central Government declared that he died at 11 AM on September 3rd. But, Rosaiah had taken oath only at 4.34 PM. Ideally, he should have taken oath immediately after the declaration of the death of the C.M. From September 2nd 9:45 AM till September 3rd 4:34 PM, there was no Chief Minister for Andhra Pradesh. Had there been an emergency crisis which involves multiple ministries, who would have taken the ownership/responsibility and fixed the problem? Our Indian Constitution does not have this line of succession for Prime Minister or Chief Minister. It says, one should be elected immediately after the incapacity, death, resignation or removal. But, the present Congress government at center as well as A.P. state does not bother about it. If we had the same provision in our constitution, it would have been better. We should make Deputy Prime Minister and Deputy Chief Minister as mandatory. Even if we do not create line of succession, we should have atleast some thing similar to that, so that somebody would officially take care of the state, till the next leader gets elected. I would prefer the following order (for take care only). The advantage of this will not be known till many bad things happen at the same time. Having some thing like this, would help in those situations. The death of Yeduguri Sandinti Rajasekhara Reddy (8 July 1949 – 2 September 2009) is an unfortunate and disheartening incident. He was a great congress leader for the state in the recent times (atleast in the last 30 years). In 1999, Dr.Y.S.R. took the incharge of the state, and increased the no.of seats from 26 to 90. To improve the situation of the party in the state, he took a journey on foot from Chevella to Ichchapuram around 1400 kms in 2003. That resulted in an easy win for him in 2004 elections. He has shown his real talent after becoming Chief Minister. He has not done even a single mistake done by the previous Congress Chief Ministers. He made sure that, there are no problems with different senior leaders (groups) of the party. He satisfied all the leaders and did not give any chance to form groups within the party. Since 1978, he was the first Congress Chief Minister to rule the state for 5 years. The way he participated in this year's election was also abnormal, considering the previous Congress selections. He announced the entire list before any other party in the state. He promised to Congress High Command that, he would bring good results eventhough there were no alliances. He got little more than the majority required in the state, and for parliament, he secured 33 out of 42, more no.of seats than any other state for Congress party. Complete credit goes to Dr.Y.S.R. only. In the first assembly session after 2009 elections, about Y.S.R., Dr.JP said, "Irrespective of whether it is good or bad, if Y.S.R. promises, he will fulfill it". That was one main reason behind his success. For the election campaign, he used to challenge, "Did I violate any promise that I made in 2004 election campaign?". Nobody could challenge that. When he won in 2009 elections, I thought he is going to brake the records of both Kasu Brahmananda Reddy (Congress leader holding C.M. post for long time), and Chandra Babu Naidu (for holding C.M. post for long time). Unfortunately he did not break those records, but he created the record for being the reason behind the biggest search in India. Before the elections itself, all the economists knew that, it is definitely not possible to continue the same schemes in the state for next 5 years. State will not have that much money to do those. Even if Y.S.R. becomes C.M. again, he cannot sustain the same thing for next 5 years. But, with his sudden demise, he will not get any negative remark on his promises. His fans can say that, "If Y.S.R. has to pick up either Violating his Promise or Death, he would pick up only Death". I am sure, it is not a simple matter for Congress to find somebody to fill in his shoes. They may appoint some Chief Minister, but, I am highly doubtful whether they can lead their party as successful as Dr.Y.S.R. He is the one who started 108 Ambulance services in the state, and the same was used to take his body. 107 days back, He sworn as Chief Minister of Andhra Pradesh in Lal Bahadur stadium. Now, his body is kept in the same stadium. Dr.Y.S.R. used to say that, one should retire after 60 years. Few days back, few people questioned why he is still continuing in politics even though he completed 60 years. (He completed 60 years on July 8th this year). For that, smile was the only answer from him. Now, he retired from his life.